We ensure; our whole range of products is manufactured utilizing finest grade supplies procured from only leading vendors. Ours is a quality driven company and strive hard to provide top-notch products to our worthy patrons. For this, we procure basic material from the trusted places only. 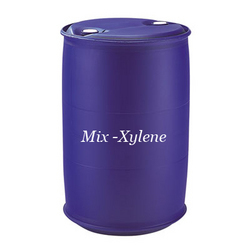 We offer Mix Xylene in various iron drum packaging from 25kg to 200kg.